Custom Design: Exact measured custom fit to each vehicle means your A/C does not get blocked and you stay cool. Perfectly match your custom seat covers and floor mats. All vents and sensor openings pre-cut for a factory finish look. Durable and Anti-Slip Material: Made of polyester and felt fabric, environment, anti-slip, will not fray or unravel. 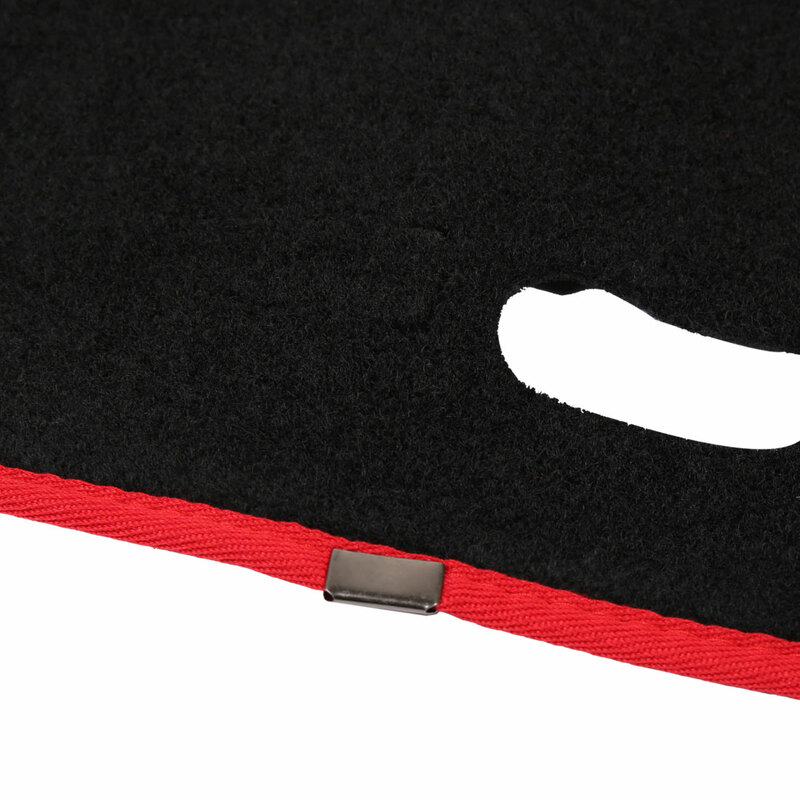 Covers Crafted from durable, colorfast, non-shrinking needle-punch carpet. Protection: Easy 5 minute installaton with hook and loop fasteners means you can remove your dash without damaging it if you want to clean underneath. Defend your dashboard against cracking, discoloration and glare; Dashmat complete protection keeps your dash board in perfect condition. Suitable for All Seasons: In Summer, cools vehicles interior temperature, blocking dreadful UV rays from heating-up dash; In Winter, keep warm and minimum temperature difference, protect dashboard from cold, reducing hazardous windshield glare. Note:Please allow 1-3cm differences due to manual measurement. Different dashmats fits for different car models, please check your car model and dashboard to make sure the mat fits your car correctly.